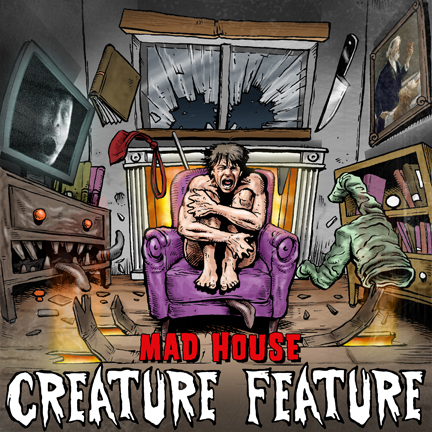 Listen To Brand New Creature Feature Single ‘Mad House’ Now! All of this aggression and fury inside me as seeped into the bones of this old house. It’s been a long time coming, but here’s the brand new Creature Feature single ‘Mad House’. Please spread it like a plague to all your fiends. Don’t forget to leave a comment on the Youtube page. The song is now available on our Bandcamp page (Download Mad House From Bandcamp) and up on Itunes (Download Mad House From Itunes) and all the other digital music store as soon as possible, so please check back to support our music. One Response to Listen To Brand New Creature Feature Single ‘Mad House’ Now!